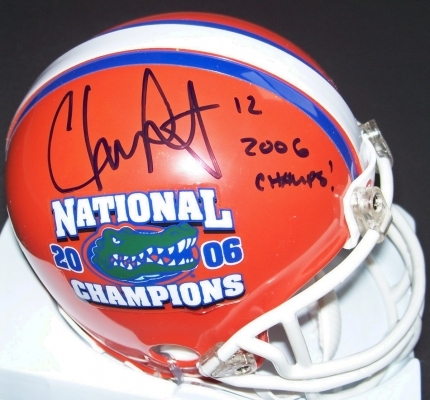 Florida Gators 2006 National Champions commemorative mini helmet autographed and inscribed 2006 Champs! by star quarterback Chris Leak. Authenticated by Real Deal Memorabilia, with their certificate of authenticity and photo from the signing. ONLY ONE LEFT.